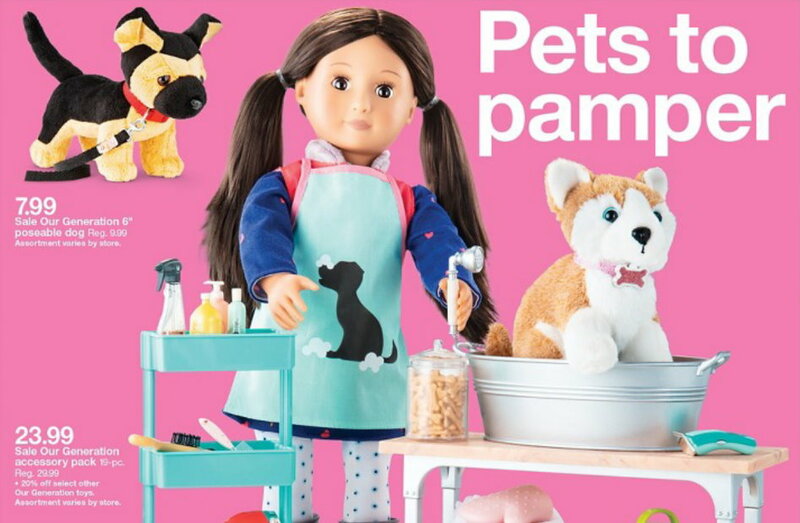 Thru Saturday, February 16th, Target is offering 20% Off Select Our Generation Dolls, Playsets and Accessories both in stores and online at Target.com. No code or cartwheel is needed, prices are as marked both online and in stores. There are over 100 items to choose from on sale, including regular dolls, deluxe dolls, doll carriers, outfits, and tons of accessories.